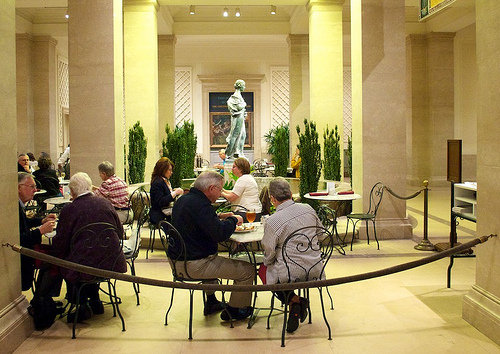 The Pavilion Cafe is found amidst the casual elegance of Washington DC’s National Gallery of Art Sculpture Garden. A Jazz Garden Restaurant Café in Washington DC in the summer, a winter wonderland of ice skating in the winter. 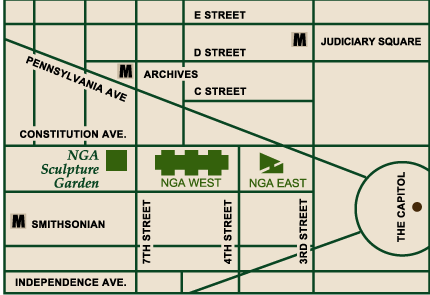 Located at the intersection of 7th Street and Constitution Avenue, NW in Washington D.C., directly across from the National Gallery of Art and the National Archives. The nearest Metro stops are Smithsonian and L'Enfant Plaza on the Orange and Blue Lines and Archives/Navy Memorial on the Yellow and Green Lines. We continue our occasional series of fine dining in museums from around the world. 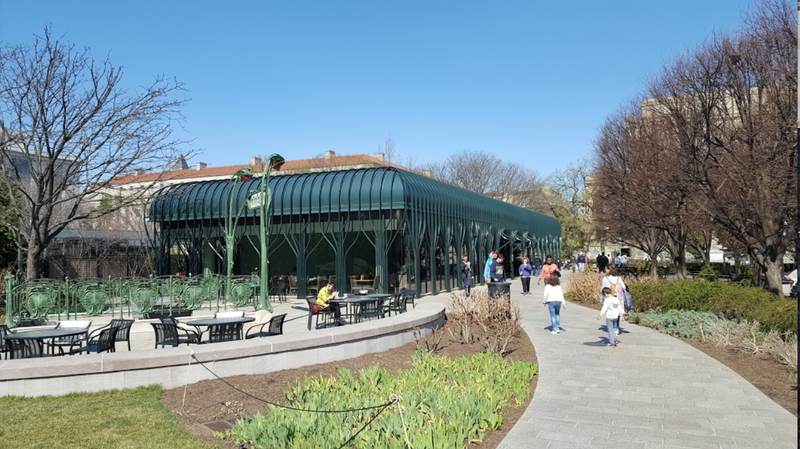 This post takes us to the Garden Café, located in the West Building of the National Gallery of Art, Washington DC, provides a serene spot for an inspired meal in an inviting setting.